Tyler was exceptionally helpful. We were very impressed with a Realtor so young. Jan has always been there and helpful when I needed her for selling or buying Real Estate. Jan was outstanding! I would recommend her to anyone looking for a house. We are so happy in our new home! Both times we have used Klein Realty to sell our property, they were sold quickly. I especially like the personal contact they offer, such as updates on showings & monthly reports. The yard signs are big enough not to be missed. The final closing day is no hassle, with all the paperwork prepared ahead of time, and each paper was explained before we signed. From first listed to sale day, we had to do nothing but sign our names. 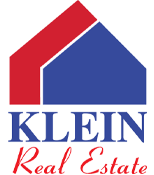 All was taken care of by the kind, professional, dedicated people at Klein Realty. Jan is a very professional. Went out of her way to find just the right house. Always friendly & answered all our questions. She was available seven days a week to fit our schedule. would recommend her and Klein Realty to anyone.